Silver plated mechanism, French fingerings reaching down to low Bb, double automatic octave keys in connection with half-hole key, 3rd octave key for high register, C and Bb to be played with each of the three fingers of right hand, closed forked F mechanism, long F key for left hand, F roller, low B-C# trill key, Ab-Bb trill, G#-A trill and D#-E trill, low B-C connection, resonance key for low Bb, resonance key for balance of low B intonation, adjustable swivelling thumbrest. Made from grenadilla wood seasoned for over 20 years, every instrument is handmade by our dedicated craftsmen, applying our many years of acoustic expertise and the highest levels of craftsmanship. 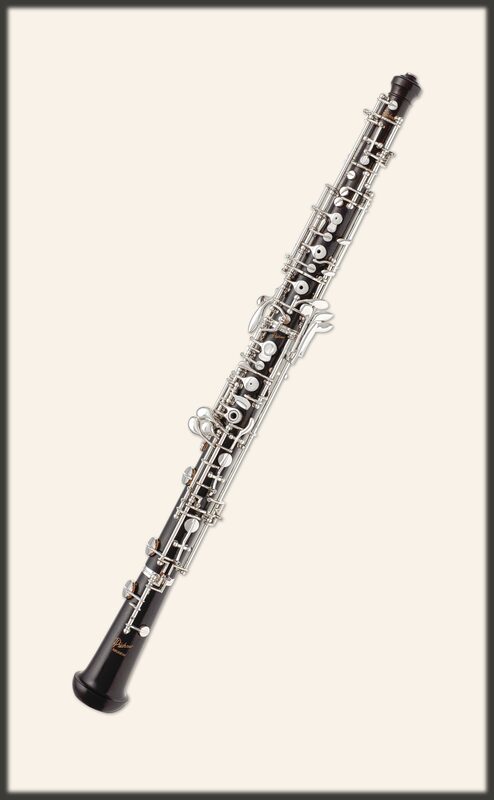 Every Püchner oboe is built with French fingerings reaching down to low Bb, 3rd octave key for the high register, and a swivelling adjustable thumbrest, specially developed by Püchner. The mechanism is finished with strongly resistant silver plating, and the instrument is supplied in a leather covered case with a complete set of accessories.